My name is Steve Rees and I am a Harpist that travels nationally and internationally presenting beautiful calming harp music. Everywhere I go, there is such an interest in the harp and the music that I produce from it. 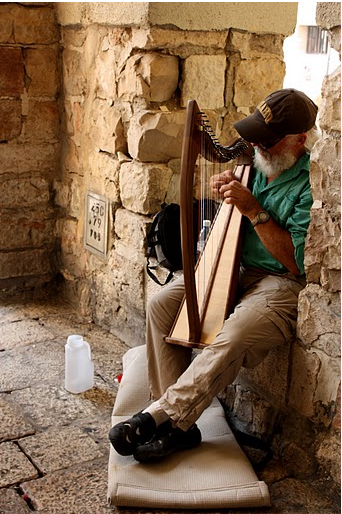 Many people tell me they have always wanted to play the harp and some tell me that they have never seen a harp before and are amazed when I let them touch the strings and hear the sound they produce from that touch. I am also a Registered Nurse and in 1998, I began to see and understand the amazing physiological effects of the harp music on the body as I would take my harp into the hospital and play for my patients. The music that I present on this website is an accumulation of what I have learned in the process of those years of observation and study. 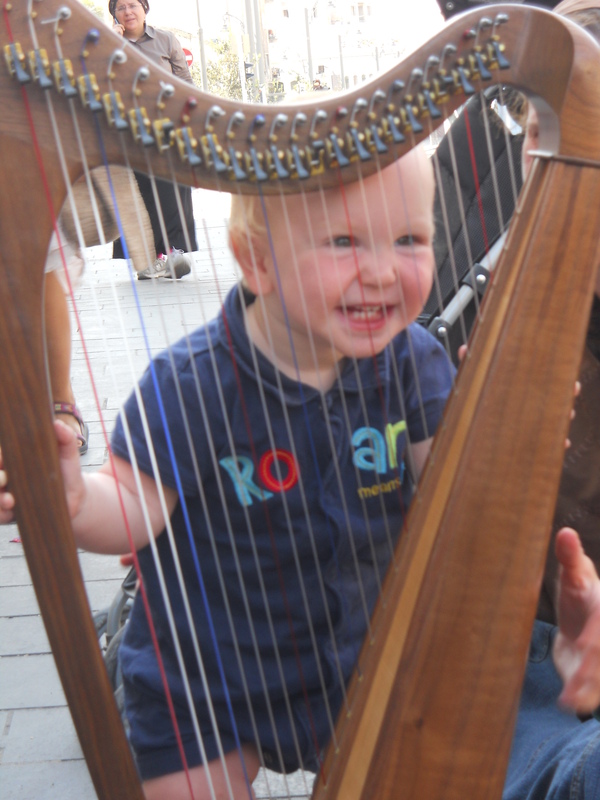 This site is all about making the calming music of the harp available to a wider audience than I can reach by doing performances around the country. From the feedback I constantly recieve from my listeners, I have come to realize how valuable and effective this music is. I receive emails from people around the world telling me that they couldn’t sleep well until they started playing this music, and now they sleep through the night. These testimonies convinced me of the need to find a way to offer this music to people I may never meet in person and has lead to the creation of this website. As I have observed many amazing results from exposing people to this delightful music, I have determined to make it available to a broader audience through the marvels of the internet. Once people hear this harp music they want to take it home with them, so I have undertaken to make several CD’s, MP3 downloads and YouTube videos available to meet these requests. I am fully convinced that you will be blessed by this music as you listen. In fact you can start right now by clicking your choice on the player to the right on this page – enjoy! I agree. Very beautiful and soothing. God Bless you for your kindness compassion and generosity! Nice website. I like the fact that you included samples of your music. God bless your music and website. My Dad, Ed Lewis, shared your music with me. Very beautiful! Thank you!!! Yes, this IS a great website, and it is really nice to see that it is driven by such high-level and inspirational motives! very relaxing–have shared for others. Do you have a CD? Thank you for this lovely website, your inspired music, and particularly your interest in the 528 hz frequency. What a wonderful music !! Refreshing and spirit reviving. May God bless and increase you greatly. I love it. love your music, thanks ! .. Wonderful .. I’ll bookmark your blog and take the feeds also? Such beautiful music. I work in childcare and I’ve been playing the Psalms of Aliyah during nap time for about a month now and their sleeping habits have gotten so much better. Just got Healing Harp, hoping it will help the children starting to get sick in the new fall season. Thanks for sharing! 🙂 God bless. STEVE IM SO LOOKING FORWARD TO RECIEVING YOU HARP CDS. I LOVE IT CANT WAIT! YAH BLESS YOU! Thank-You Shir Le for personally autographing my copy of your book “God’s Powerlines” last night at Barbara Bucklin’s house. I listened to a couple of Steve’s songs on the drive home last night I am so hugely Blessed to have met you both and to have in my hand today not only your book but one of Steve’s cd’s. I too hear the footsteps of Messiah and my message here today is that He is indeed coming back for His bride soon, Jonathan Cahn makes an excellent arguement for the rapture to occur on F.O.T in 2015. But beg to differ because my best friend Jonathan Kleck received an intense download from our God to tell him it can happen any second now, at any moment now, in a fraction of a heartbeat in the twinkling of an eye. So, please, everybody, keep on LOOKING UP! For your redemption draweth nigh. TODAY is THE DAY of YOUR SALVATION let us rejoice and be glad in it. Thankz and God Bless you both. Love your music your energy can be felt . I noticed that some of your music is being tuned to 528 hz Solfeggio. I wondered if you have heard of 432 hz Tuning for A which is supposed to be natural or sacred tuning. 432 occurs all throughout creation and most ancient instruments were tuned to that. It also corresponds to Holden mean ratio to which the Ark was built. Also Don Potter of Morning Star ministries is teaching the 432 hz Tuning. I am wanting to get some clarity here and to find out what your understand of this is and the differences and perhaps why one should be used over the other. Both seem to have their camps and supporters and claims that the Lord revealed them. I am aware of the different camps. I have a teaching on why I think the 444hz is where I choose to be (which produces the 528 hz C note) since it is based in Scripture. You can find the teaching on YouTube/peregrinnatti – click on the “Music Frequency” video. I have a friend that uses both frequencies because he believes that the different tribes of Israel respond better to different frequencies – kind of a Hebrew answer -” this is true and that is true.” The last 3CDs I recorded in 528 hz. Hello I have luth David harp 22 strings no levels how do I tune I am new to this. These are so beautiful!! I would love the option of having these in my music on my iPad. I have tested all the links you mentioned and they are all working for me. I suggest that you try a different browser, that has been an issue in the past and seems to correct the problem. Thanks for your interest and input. Very enjoyable – thank you! So glad I found this at a time when I needed it. Thk you for making these free samples available. Would love to purchase a cd. Shalom, Mr Rees. My name is Janice F Baca. I too am a registered nurse and have heard some of your teachings on the harp healing music. My husband and I have been Torah observant for many years. We have been listening to Rico Cortez, Monte Judah, Eddie Chumney, and the other power Torah teachers for a number of years. Recently, the Ruach has been teaching me to read and write in Hebrew. My husband has done Hebrew studies already and is much farther than I. However, I have a deep love for my Abba’s language and, of course for Him and our Messiah. And your teaching has stirred something in me that I haven’t felt since my early Christian days. When I was PCS’d in the Air Force to South Korea back in 2000, I told the Lord that I wanted to learn to worship Him. But I am no music expert and only learned some music in choir in my middle school days. However, I pulled what little money I had at the time and bought a guitar in S Korea. The lessons were free with the purchase but I desperately wanted to learn. I was excited when I learned to play the music, “Time in a Bottle”, and it actually sounded a little like it! Nevertheless, as the Ruach teaches me Hebrew, it makes me think how backwards everything in this world has become. We are backwards, churches are backwards, EVERYTHING is backwards… it’s chaotic! I remember when I wad a child, some friends would play the demonic music backwards so that we could hear the messages hidden in the music. Sadly, this world is filled with backward demonic messages! Which brings me to my question; since Abba’s language is right to left, should His music also go right to left? I’m sure you’ve already given this thought before and I would love to hear what you think. I believe that a pattern was set out in the first Exodus when scriptures state that there was no one sick or lame among them. However, look around us. The people of Israel are sick and lame. We are broken and filled with disease. This government has poisoned our food, air, and water. We all need healing in these days! It’s my belief that Abba is sending out those whom He has called, to heal His people. Which is why I feel another desire to learn to play the harp now, with Ruach’s guidance. I hope to save money for the purchase of a nice harp soon. If you have information the type of harp I should look at purchasing, I would be very grateful. Nevertheless, I appreciate your work in this area. I found this to be very encouraging. It gave me a new drive again! I pray Abba will continue to use you and your lovely wife even moreso. Difficulty using the MP3 player? It’s Mozart for Lower Blood Pressure! Calming Harp Blog at WordPress.com.